Dr. Marciano begins his book by explaining the need for employee engagement and please note: engagement is not motivation. The author illustrates that motivation is what gets you going, and engagement is what keeps you going. Behaviours that change quickly also change back quickly. He also acknowledges that the factors that motivate employees have changed over time, and that now “the new deal” is that there isn’t any deal – employees will leave for a better opportunity without hesitation. The “Circle of RESPECT” distinguishes five areas in which employees experience feelings of respect and disrespect (organization, individual, work, team and supervisor), and the book offers numerous practical examples of how to integrate these ideas in an organization. 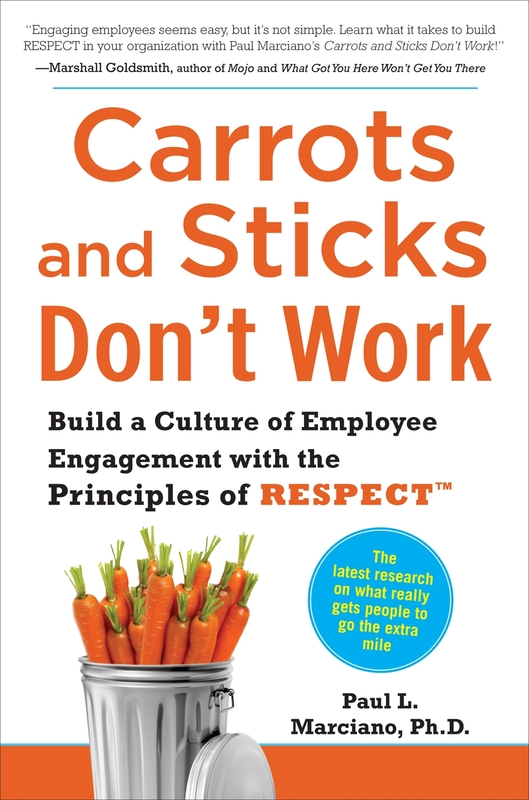 In his research, Dr. Marciano identified respect as the central driving force behind engagement, as well as several specific factors that cause employees to feel respected. 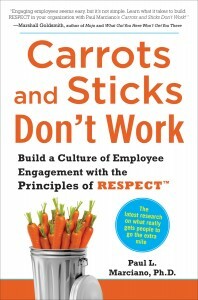 The book also examines factors that increase and decrease employee engagement. 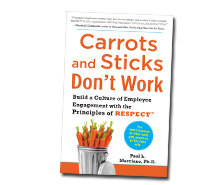 The final chapter is devoted to how to implement the RESPECT™ model, given the author’s perception that there is a general decline of respect in society. Turnkey strategies and best practices are offered for each model component, which include leading with RESPECT. People follow leaders they respect and leaders who respect them. Respected leaders inspire followers to engage in the work that needs to be done to fulfill the mission and vision of the organization. And what benefits should one expect from implementing this tool? Dr. Marciano believes that the traditional model of rewards and punishment can get results in the short-term; long-term, sustainable impact and results come from building respect.